A dad-of-three is swopping delivering the mail for delivering sermons when he begins a new life in church ministry. 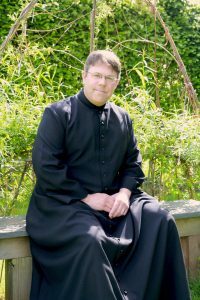 Dave Jones along with Nick Gill and Angela Cooper will be ordained deacon at Llandaff Cathedral on June 30, by Bishop June. 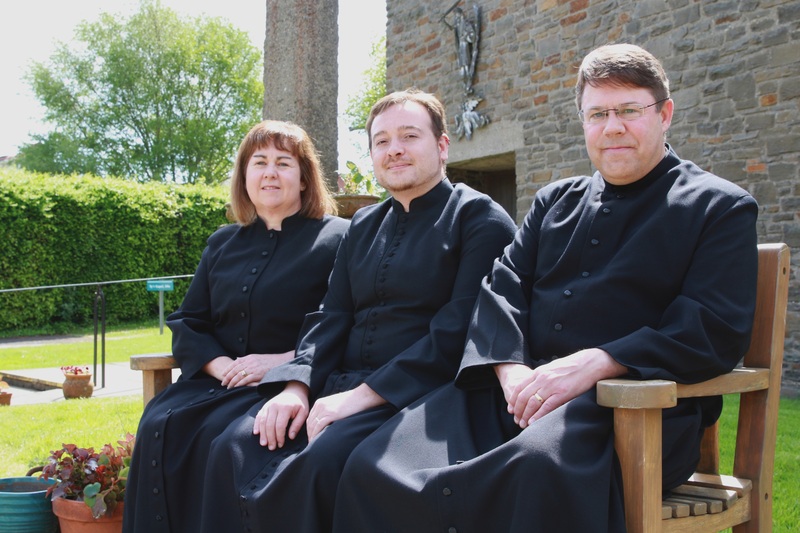 The former postman, will serve as assistant curate in Glan Ely; Nick will serve as assistant curate in Whitchurch and Angela will serve as assistant curate (NSM) in the East Vale group of churches. During the same service five deacons will be ordained as priests. Dave, 53, who work ed as a chef, baker and self-protection consultant as well as a postman, already knows his new parish well as it was his postal beat for ten years. “I’m really looking forward to being present in the community – I intend to be out on the streets just as I was as a postman – and am particularly looking forward to working with young people in the area,” said Dave. Despite having no faith for many years, it was attending a harvest supper with his wife at his local church in Rhoose which was led by a worship band and a guitar playing priest that first got Dave involved with the church. Having played rock guitar himself since his teens, he was persuaded to join the band, and from then there was no looking back. “From someone who had so little faith and that they insisted on being married in a registry office I became more and more involved in the church – I looked to become a worship leader and then I thought about Reader ministry before being selected to train as a priest,” said Dave, a dad-of-three, whose favourite band is the Rolling Stones. During training Dave served his college placement in his hometown of Barry, alongside fellow trainee priest Nick Gill. Nick, 32, a lifelong churchgoer, who felt his calling during his first year at Lampeter University where he was reading theology, is married to Georgina, and has three children. 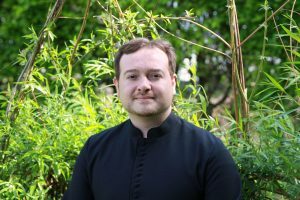 Originally from Shrewsbury, Nick met his wife while at university and stayed in Wales ever since, working in a local supermarket for a few years before seeking selection for ordination. “Over the last few years I’ve enjoyed the academic work but now I am really looking forward to the next step on the journey – meeting new people and putting into practice all the things that I’ve learnt,” said Nick. Dr Angela Cooper, 52, who lives in Cowbridge with her husband and three children is delighted to be staying in the East Vale, where she served her training placement. Originally from Bolton, she was brought up attending church as her mother was an elder in the United Reformed Church and as a child she attended a Church of England secondary school. After studying Applied Biology a t Sunderland University and a PhD at Nottingham University, Angela worked as a research scientist for ten years before having her children. “Wherever we’ve lived I’ve always looked for a church to attend and in Llanharan I found one where I felt completely at home,” explained Angela. Over the years, Angela became more involved in church life, especially after doing an Alpha course and joining the Diocesan Children’s committee, and through this felt a calling to ministry. 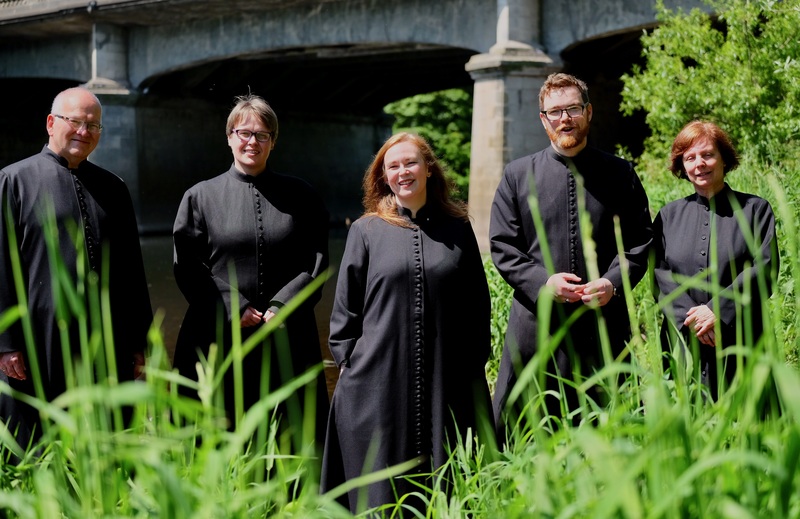 The Revd Rosemary Hill along with the Revd Charlotte Rushton, the Revd Mark Broadway, the Revd Peter Godsall and the Revd Jude Peters will be ordained as priests by Bishop June. 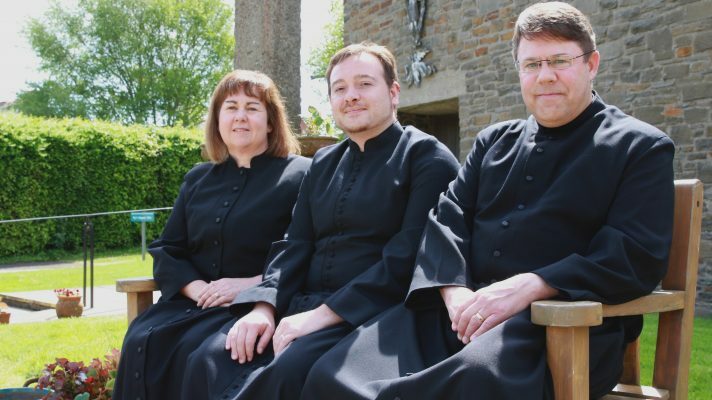 Mrs Hill, a former teacher, will continue as assistant curate in Penarth and Llandough (St Augustine’s); Mrs Rushdon, a former police civilian finance team leader, will continue as assistant curate in the parish of Merthyr Tydfil, St David and Abercanaid and Mr Broadway, a former legal worker, will continue as assistant curate in Coity, Nolton and Brackla with Coychurch. Retired health and safety advisor Mr Godsall, will continue as assistant curate (NSM) in the parish of Aberdare, St Fagans and Mrs Peters, a former reception administrator in the Llandaff Diocesan office at Coychurch, Bridgend, will continue as assistant curate (NSM) in the Rectorial Benefice of Llantwit Major. As non-stipendiary ministers both Peter and Jude will carry out their work for the church alongside their paid or other roles. Rosemary Hill, 37, whose brother is a priest, was brought up an Anglican in her home town of Bridgend and spent a decade teaching English before training for the priesthood. 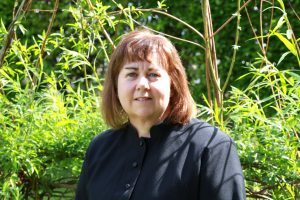 As one of five children Rosemary was a regular at Sunday school, acting as an altar server at St Mary’s Church, Nolton and from the age of six she was a chorister – achieving the Dean’s Award from the Royal School of Church Music. Charlotte Rushton, 43, was delighted last year to return to her home town of Merthyr Tydfil. She is married to Craig and has an eight-year-old daughter. Mark Broadway, 30, a former legal worker moved to Wales from Burnham-on-Sea to read law at the University of Glamorgan, and liked it so much that he stayed. Peter Godsall, 63, came full circle when he returned to serve as an NSM Local in the church at Aberdare, St Fagans where he was baptised. He is married to Marian and they have a grown-up son Tim. 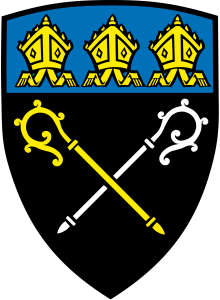 He was a Reader for six years before being ordained deacon. Jude Peters, 57, also began her journey into ministry as a Reader – a post she held for nine years. Married to Mike and with three children, Jude spent her early years in the Midlands, before moving to Llantwit Major 13 years ago. This was posted on 22 June 2018.